Lucasfilm and Star Wars: Force for Change today announced Roar For Change, a global challenge in support of UNICEF. The initiative invites fans and families to share their own version of Chewbacca’s iconic roar. For each public post, like, or share on Facebook, Instagram or Twitter that includes #RoarForChange between May 3 - 25, 2018, Star Wars: Force for Change U.S. will donate $1 to UNICEF USA, up to $1 million. Funds will be used to support UNICEF’s lifesaving work for children around the world. Fans and families attending Disneyland After Dark: Star Wars Nite on May 3rd will also be invited to join the celebration during the park-wide exclusive event. 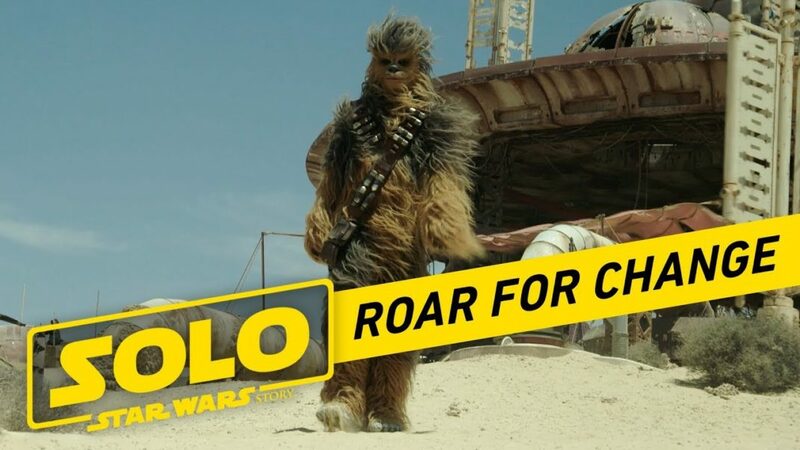 Additionally, on May 4th, guests at the Disney store in San Francisco will have the chance to meet Chewbacca and roar alongside the legend himself, and from May 4 - 6, fans that roar and post on social media in Disney store locations nationwide using #RoarForChange will receive 10% off their Star Wars purchase. Star Wars: Force for Change, a charitable initiative from Lucasfilm and Disney, harnesses the strength of Star Wars to empower and improve the lives of children around the world. Since 2014, it was inspired by Star Wars fans, and the countless hours they have dedicated to philanthropy over the past four decades. To date, over $16 million has been raised for charitable causes around the world on behalf of Star Wars: Force for Change. With a bright future ahead, and new Star Wars stories to be told, Force for Change aims to continue collaborating with causes and encouraging others to be forces for change in their own community. To learn more, please visitForceForChange.com.